When an area experiences below-normal levels of precipitation for an extended period, we call it a drought. The environmental effects of drought can be widespread, affecting all members of an ecosystem. Dry soil causes plants to die and the animals that eat those plants are left struggling to find food and water. Drought's effects on humans can be significant, diminishing water available for drinking and crop irrigation. Rainfall shortages tend to have a trickle-down effect felt throughout ecosystems. Groundwater is an important environmental resource that provides 38 percent of the water used by urban and suburban United States residents and almost all of the water used by rural United States residents, according to the U.S. Geological Survey. Groundwater exists in underground aquifers, which are tapped to provide water for drinking, washing and irrigating. If water is pumped out of these aquifers at a rate faster than rainfall can replenish them, then groundwater levels drop. 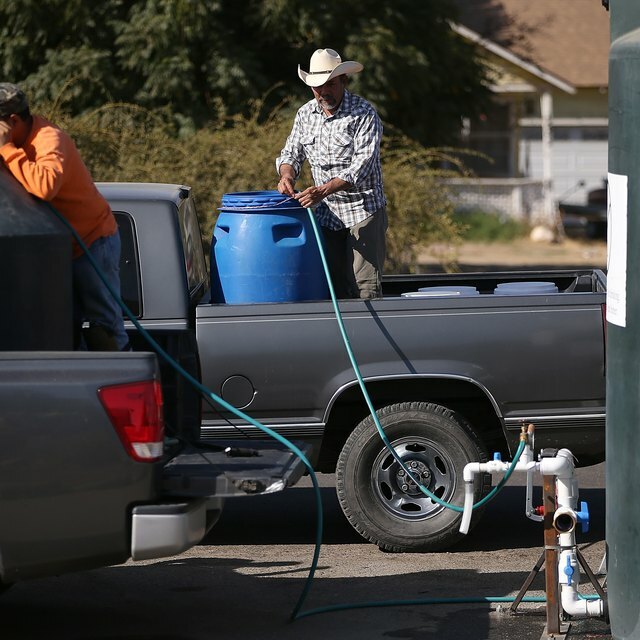 Over an extended period, this can cause wells to run dry, making water unavailable to whoever depended upon the aquifer that supplied the dry well. In the southwest United States, irrigation has depleted aquifers and caused the loss of riparian vegetation as the water table dropped below their root systems. Riparian vegetation is essential to streamside ecosystems, providing cover for wildlife and preventing sediment from entering the stream. 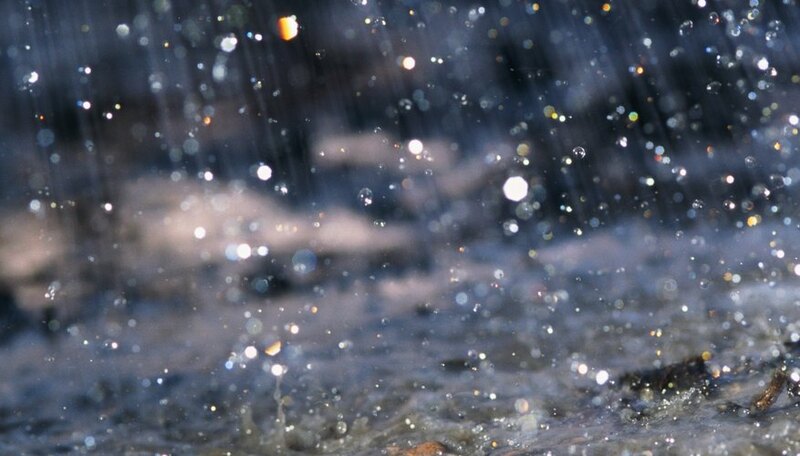 Persistent dry weather can affect surface water levels, as well as groundwater levels. The flow of water in streams and rivers declines and water levels in lakes and reservoirs drop if rainfall does not replenish these resources. Low water levels in reservoirs mean less water is available to the public water systems for which they store water. Low water levels in natural water bodies mean less water is available for crop irrigation. Declining water levels can also cause water temperatures to rise, which often stresses fish and other aquatic life. Three years of severe drought in Kansas have caused a once-healthy population of silver chub to disappear from the Ninnescah River, according to a Kansas State University research team. When precipitation is below average, soil begins to dry out. Plants struggle to obtain enough moisture and begin to dry out as well. Plants experiencing drought stress are more susceptible to disease and fire. Dry plants experiencing drought are more likely to catch fire when they come into contact with an errant spark or lightning strike, according to the California Department of Water Resources. On average, the federal government spends $3 billion annually on wildfire suppression and prevention, and these efforts account for almost half of the U.S. Forest Service budget, according to Headwaters Economics. 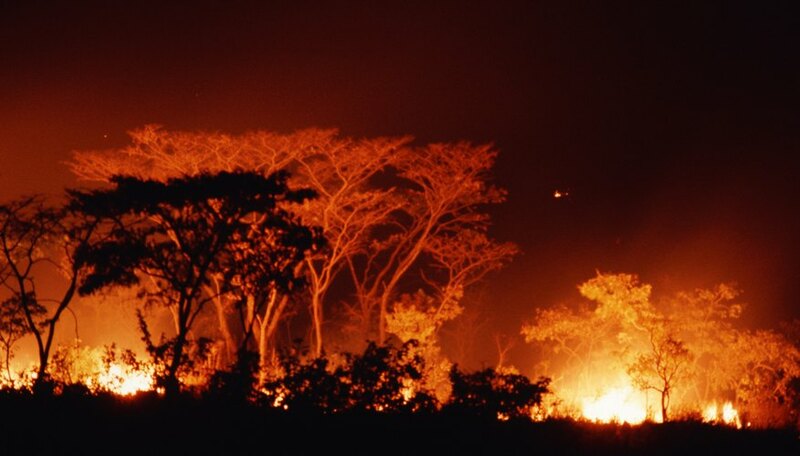 Large wildfires release toxins into the air and degrade air quality, in addition to contaminating lakes and rivers with ash and sediment and destroying habitat that is home to threatened and endangered species. In 1995, Canadian wildfires caused a plume of carbon monoxide to pass through New York City and Boston. The environmental effects caused by a lack of rainfall vary based on location. Drought conditions make life difficult for resident species that have adapted to particular environmental conditions, including moisture levels. Areas that experience frequent drought are populated by species that have adapted to withstand rainfall shortages. However, plant and animal species living in areas that rarely experience drought often have difficulty surviving extended periods with below average precipitation levels. Extreme drought in Missouri increased disease-related deaths in the deer population as they crowded around limited water sources. Similar crowding was seen in fish and waterfowl populations, and as a result, hunting and fishing for all of these animals was more difficult. National Drought Mitigation Center: What is Drought? Cairoli, Sarah. "What Happens to the Environment When There's Not Enough Rainfall?" Sciencing, https://sciencing.com/happens-environment-theres-not-enough-rainfall-12306492.html. 24 April 2017.